It was an auspicious celebration with joy and colorful tradition in festivities that will usher the Chinese New Year as Year of the Fire Rooster comes. 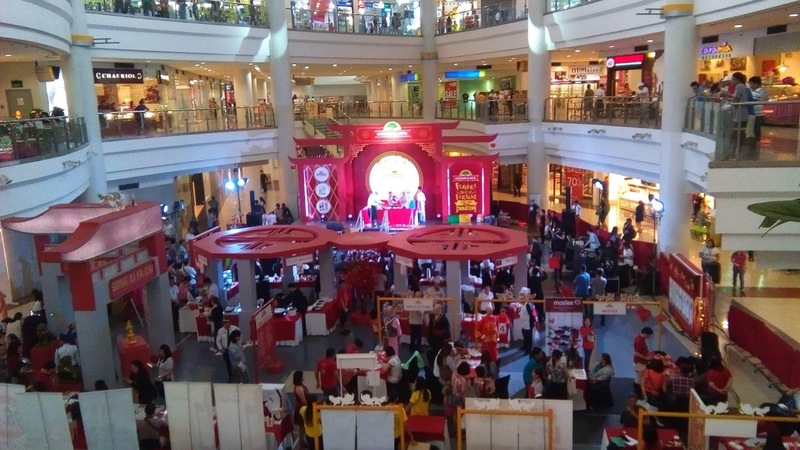 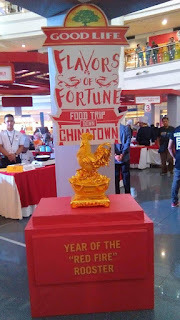 Good Life, as one of the Asian food brand celebrate its Flavor of Fortune: Food Trip Down Chinatown as a grand Chinese New Year festival last January 27 and 28, 2017. at the Robinsons Place Manila Midtown Atrium. Good Life's Flavor of Fortune center on sharing good foods with joyful moment with families and friends in the celebration of good food with authentic Chinese cuisine. 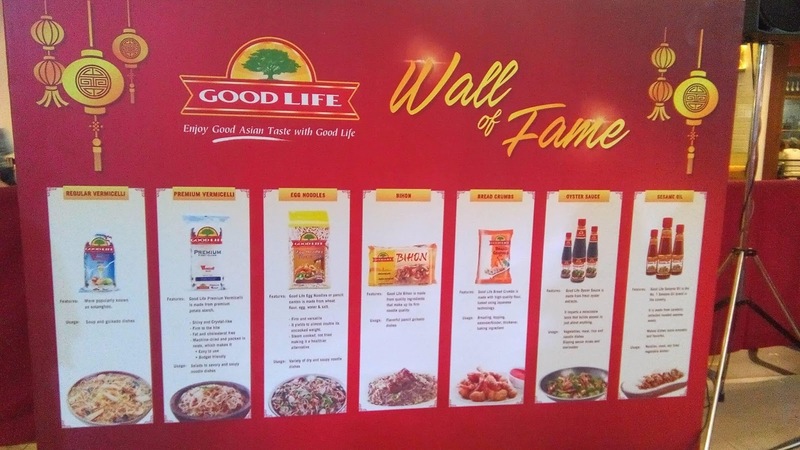 Good Life aims for a holistic festivity that promotes a fortune-filled life, which includes the fusion of good food, good relationships and a good disposition in life. 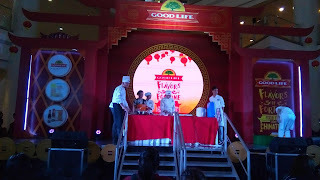 Also to commemorate this year's Chinese Zodiac, they held the Good Life Chinoy Dish Showdown. 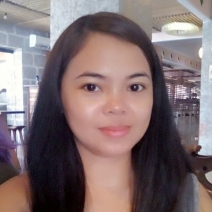 Featured the dishes of Manila's finest hotels which includes Hotel Kimberly, City Garden Hotel, Lotus Garden Hotel, Eurotel, Bayview Park Hotel, Amelie Hotel and Best Western Hotel that will battle out. 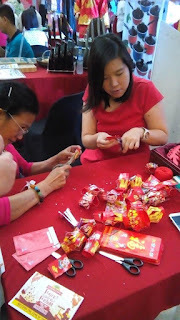 There is also a dragon and lion dance, cooking demo, raffle draw and cultural performances from Chiang Kai Shek College. Plus the much-awaited Feng Shui Talk by Master Hanz Cua and Naneth Guinto. 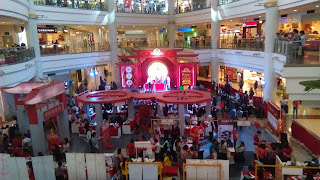 During the event, there is also a Chinoy Activity Strip, The Chinoy Food Strip, Fortune Telling and more. 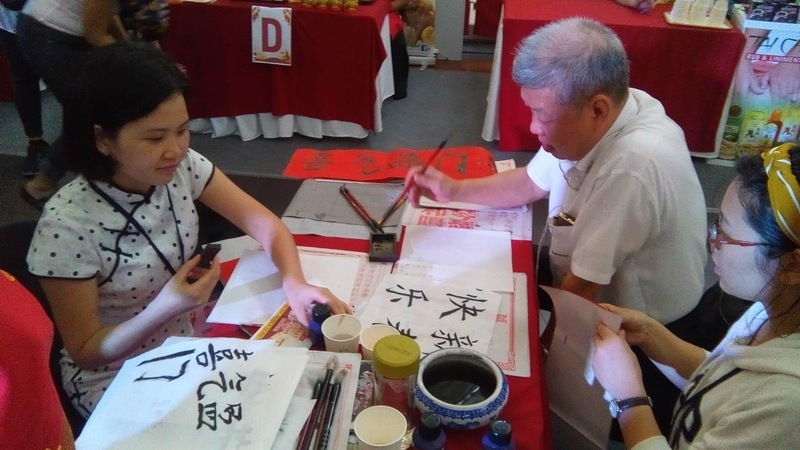 I tried the Lantern-making while my son enjoys the Chinese Calligraphy. To learn more about Good Life, visit their Facebook page at www.facebook.com/goodtastegoodlife. The Good Life Flavors of Fortune: Food Trip Down Chinatown 2017 is presented by Fly Ace Corporation, Good Life, City of Manila and Robinsons Place Manila as official venue partner, with the support of event partners Cook Magazine, Breakfast Magazine, Business Mirror, Malaya Business Insight, Manila Times, The Standard, Manila Bulletin, Mommy Bloggers Philippines, Chinoy TV, Ermita-Malate Business Owners Association, Ateneo Confucius Institute, Fujidenzo, Whirlpool, Technogas, Masflex, Franzia, and Taichi Guyasteen.